Hello, Stampers! Finally getting things back to “normal” since the holidays. I can’t believe how busy things got there – complicated by the short time between Thanksgiving and the holidays. 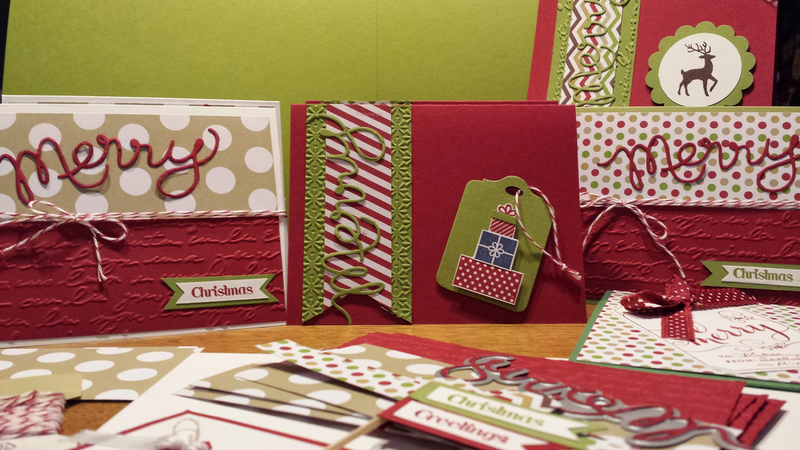 I just noticed that I never got around to posting a photo of my holiday cards and tags. This weekend was the first stamp club of the new year. Great to see everyone! Since there won’t be time to hold another workshop before Valentine’s day, that’s where we got started! Of course, there were loads of hearts stamped, punched, die cut and snipped, but I found fun in making the “love” die cut from Stampin’ Up’s Expressions thinlits die cut collection the focus of the card. The large heart (from Hearts a Flutter Stamp Set and Framelits Die Cut collection) is cut from Pirouette Pink and stamped with In Color Strawberry Slush. I “found” the arrow just lying there in the “scrap” pile from punching multiple flags (extended flag right behind the large heart) one after another on a strip of Basic Gray. I LUV when that happens! From the right of the flag, it looks like hearts are shooting out in rapid succession, right? 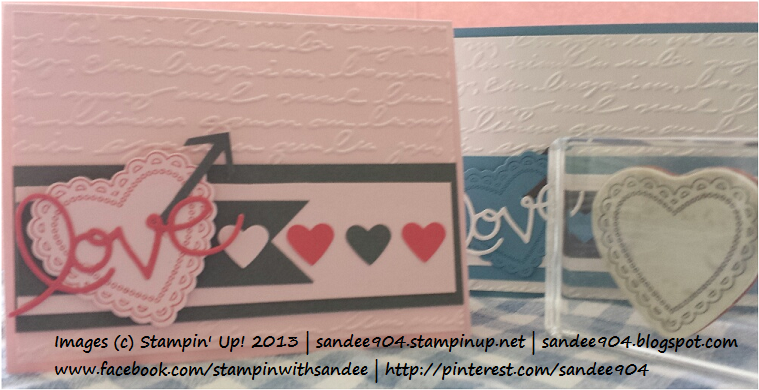 Second sample uses Marina Mist and Basic Gray for those non-traditional valentine’s day greetings. 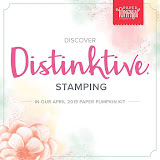 As you know my sister, Cindy, is also a Stampin’ Up demonstrator. Since we don’t live close to each other, this year we are swapping our club cards for fun. I can’t wait to send her the January workshop card, and can’t wait to receive hers from this upcoming weekend. I am thinking about participating in this week’s clean and simple challenge from The Paper Players (PPA179). It is a one-layer valentine card. If I have time yet today, I will finish it and get it posted right away. I added a link to the recently released 2014 Occasions Catalog. Take a moment to look through it. 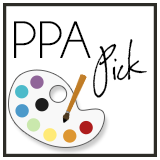 Chock full of awesome new product, projects, and ideas. Finally, I wanted to point out that Sale-A-Bration begins next week, January 28. This year Stampin’ Up! created six bundles of product (discounted and total right at or above $50); perfect to earn a Sale-A-Bration freebie. Please contact me ASAP to set your workshop date to get in on the great products available during this awesome sale. I need your help to meet my goal of reaching out to 100 new Stampin’ Up! “lovers”. Thank you all for your support and being my cheerleaders.